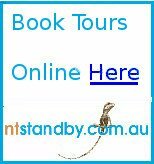 The Darwin City Beach is free to visit, safe, and only a five minute walk from the Smith Street Mall via the new walkway and glass lifts. 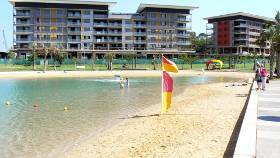 Green grass, plenty of shade and safe swimming in a protected sandy beach area makes an attractive and relaxing area. 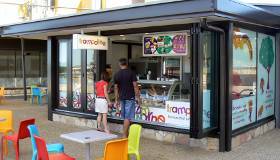 A kiosk provides ice cream, drinks and yummies for swimmers and sun bathers or others just enjoying a walk. 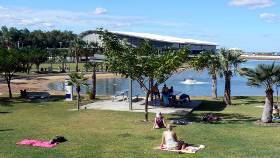 The area is controlled by the Darwin Waterfront Corporation (8999 5155) and the same rules apply as for the wave pool - no glass, private BBQ's or alcohol is permitted. 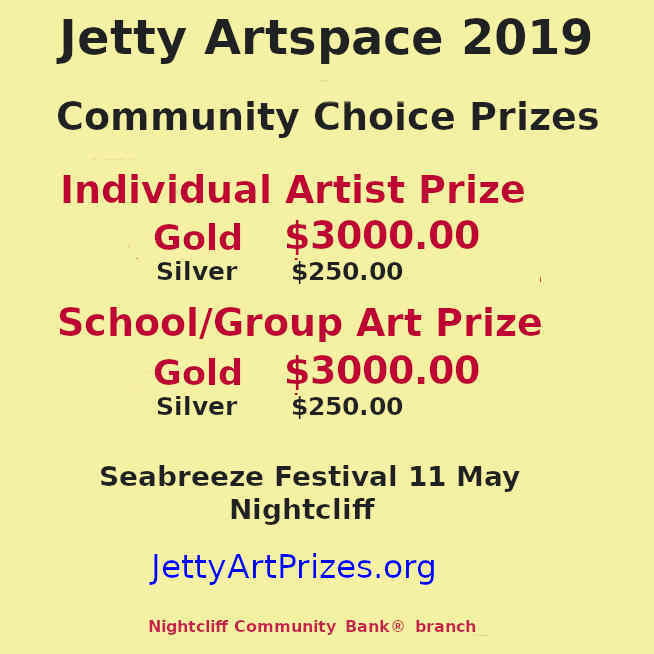 There is a reasonable amount of parking in nearby streets, or the multi-level car park in Kitchener Drive provides two hours free parking and more for a few dollars. 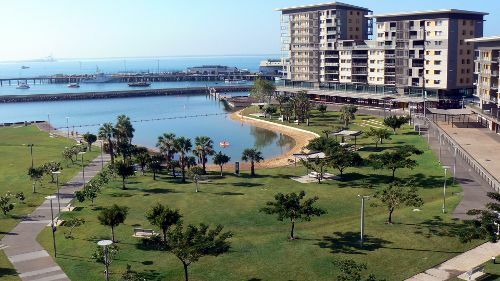 Surrounded by the new Medina Hotel, the wave pool and conference centre, and ongoing new developments, the City Beach is the focal point of the long term plan to redevelop the Darwin Wharf Precinct.